Streaming companies have invaded Sundance 2016, spending big from deep pockets and forcing indie veterans to find a way to either work alongside them — or do battle for the festival’s hottest titles. The question on everyone’s mind: Is this good for the weakened indie film business, or is it merely inflating another one of those bubbles? Netflix and Amazon began dropping multiple millions of dollars on high-profile projects even before the festival began, including “Tallulah,” bought by Netflix for $5 million, and “The Fundamentals of Caring,” also a Netflix buy for $7 million. 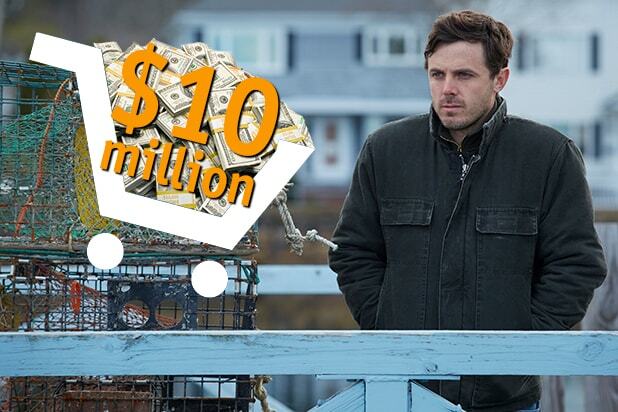 Then Amazon swooped in this weekend and won a bidding war with a stunning $10 million bid for Kenneth Lonergan’s “Manchester By The Sea,” a moving Casey Affleck drama that ignited critics and became a national trending topic on Twitter. Fox Searchlight, Universal, Sony Pictures Classics and Lionsgate all battled for rights to the film in a negotiation led by WME, but Amazon took the prize. Now the streaming giant needs to find a partner for theatrical release, a rent-a-system theatrical plan that indie veterans sniffed at. “That deal makes no sense, it creates a slur of cash for movies that won’t see the return,” said a peeved rival studio executive, who noted that Amazon signed on for a $15 million P&A commitment. “What is a filmmaker doing taking $10 million to skip the theatrical release of the film?” the individual wondered of Lonergan, who seems poised to have one of the best-reviewed films of his career. Two bids that came in under Amazon’s were $7 million and $5 million, according to an individual with knowledge of the bidding war. Traditional companies balked at the inflation set by Amazon, and offered a reminder that Lonergan’s last movie, “Margaret,” cost $14 million, had to be recut with a $1 million loan from star Matthew Broderick, endured a six-year legal battle, and ultimately made a disastrous $46,000 in theaters after being virtually buried by Fox Searchlight. Sundance history is rife with examples of movies that sparked bidding wars only to deliver thin results at the box office. Last year’s bidding war over “Dope” is only the most recent example. The film sold for $7 million to Open Road and made $17 million domestically, hardly a major windfall. And with the “Manchester” deal set, many established indie distributors told TheWrap they weren’t interested in putting their marketing muscle and theatrical network behind a movie where they will see no profit from the streaming audience. Not all legacy companies are scared of the streaming giants. ‘Love & Friendship’ Sundance Review: Whit Stillman Does Jane Austen – But Hasn’t He Always?